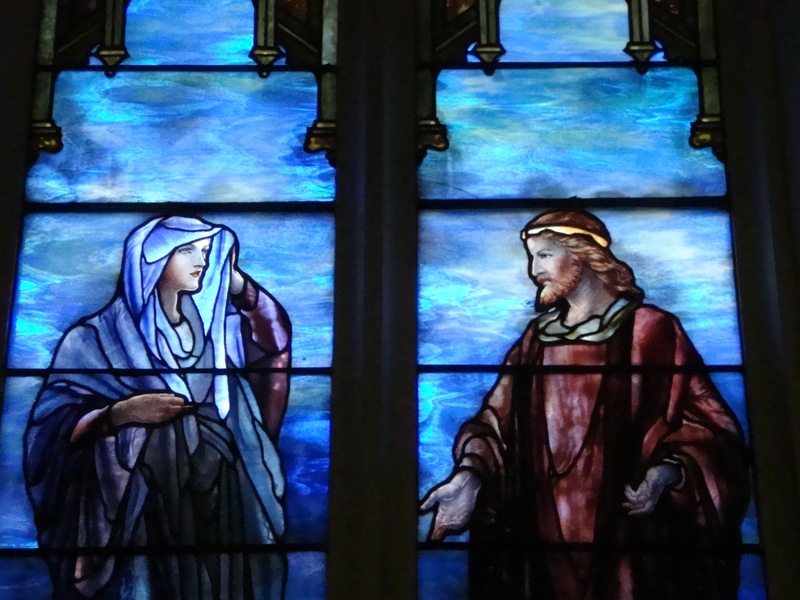 We have some amazing stained glass windows in our church, and sometimes I find myself getting distracted by the stunning blues in the window pictured above. 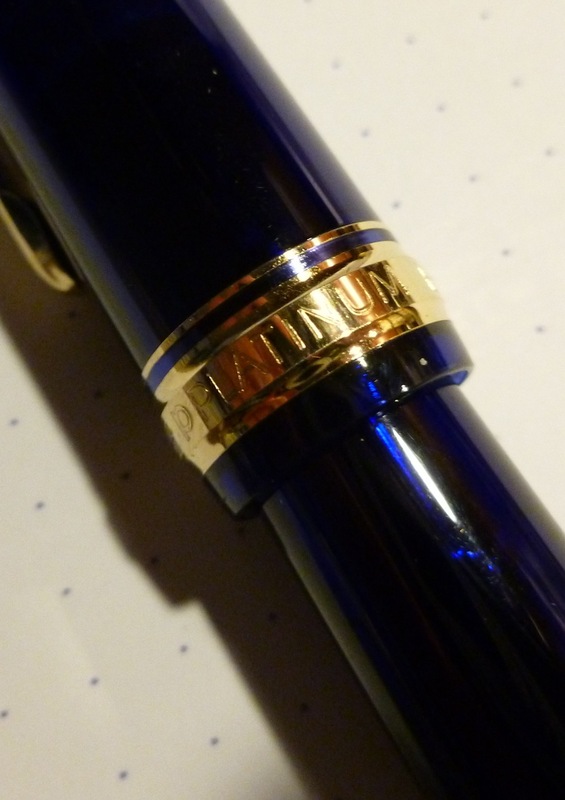 Maybe that’s why I was so drawn to the latest Platinum #3776…the “Chartres Blue” is just gorgeous. (You’ll probably have to take my word for it as I doubt that my camera, or the ambient lighting I’m working with, will do it justice.) I first saw the pen on an FPGeeks podcast, and then couldn’t get it out of my head. I’m pretty sure it had something to do with that window. Fred & I don’t buy Christmas presents for each other, which may sound weird, but is actually kind of nice…one less thing to feel pressure about. We are, though, free to pick up something for ourselves. Twist my arm! 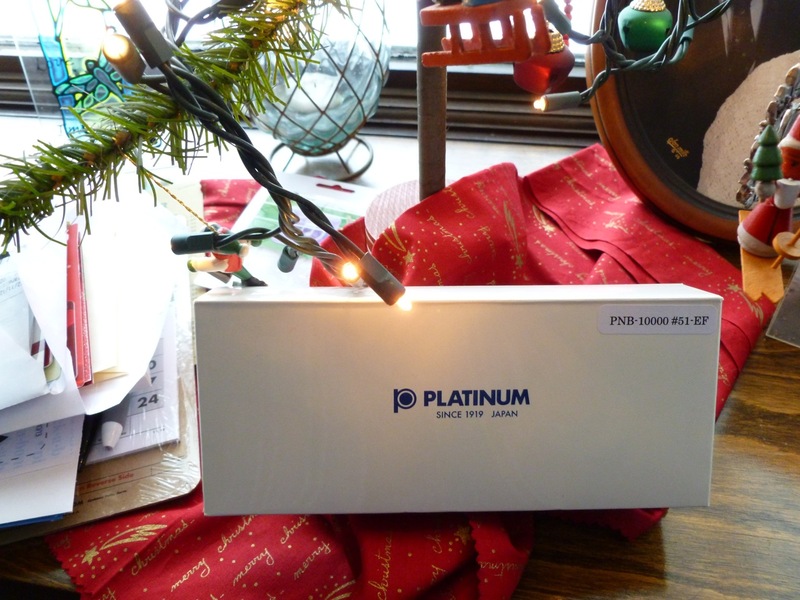 The Platinum #3776 arrived a little before Christmas, and though I used it immediately, I stashed the box under our simple tree. Merry Christmas to me. Along with the pen, the box contained a few surprises. 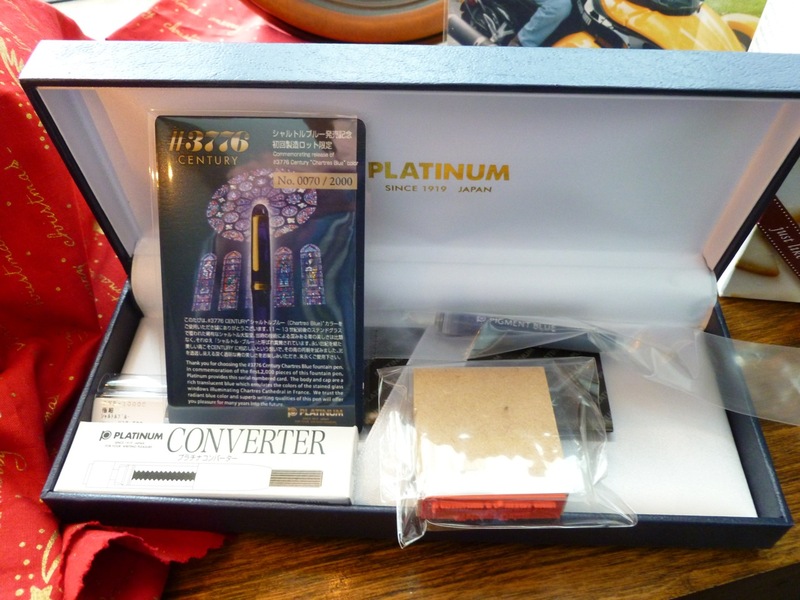 The converter and cartridge were expected, but I was thrilled to find a Commemorative card which indicated that I had pen No. 0070 of the first 2000 pieces. The run is not limited to 2000 pens, but folks with one of the first 2000 get the card. Kind of cool! 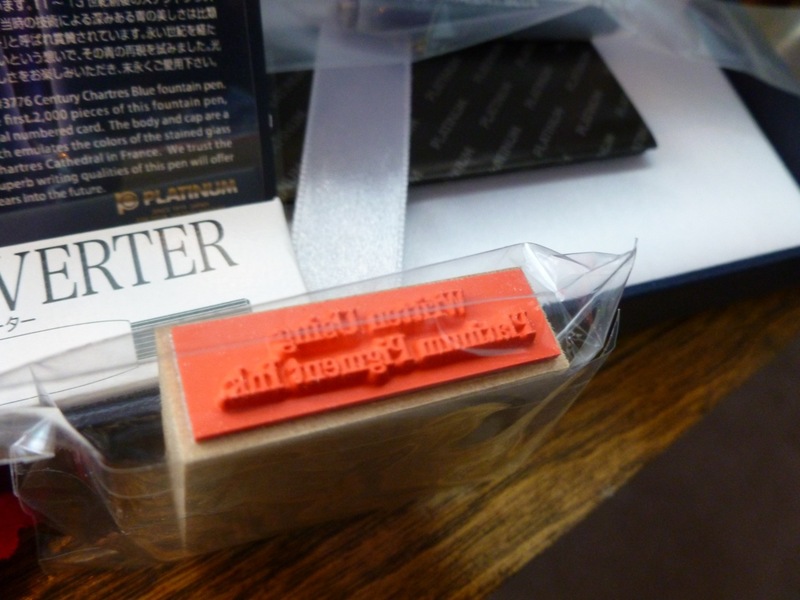 Platinum also included a rubber stamp that says “Written Using Platinum Pigment Ink” that you can use to stamp on a letter or card. Quite novel! And we all know that I love novelties! That was a fun little surprise. But what about the pen? In short, it’s pure joy. 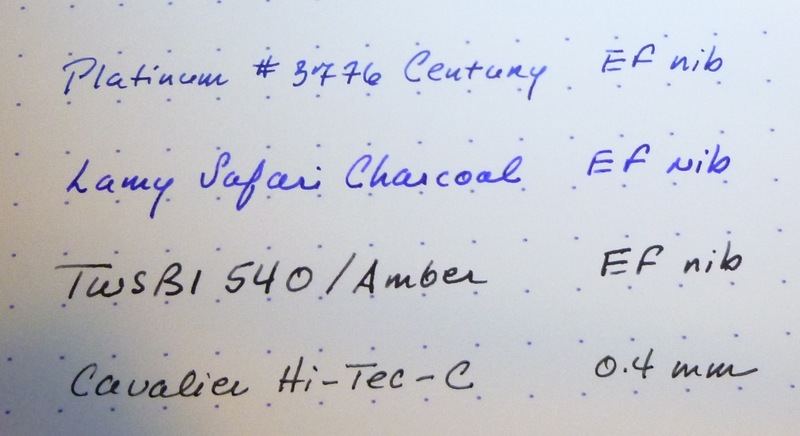 I ordered the EF nib, then fretted just a little, hoping that it wouldn’t be so fine that it’d be problematic. I needn’t have worried. Even though the nib IS exceptionally fine, it writes like a dream, and has done so consistently. I haven’t had one issue with the pen since inking it (with Platinum Blue Black). The line is very fine, the finest I own, but there are no skips or hard starts. 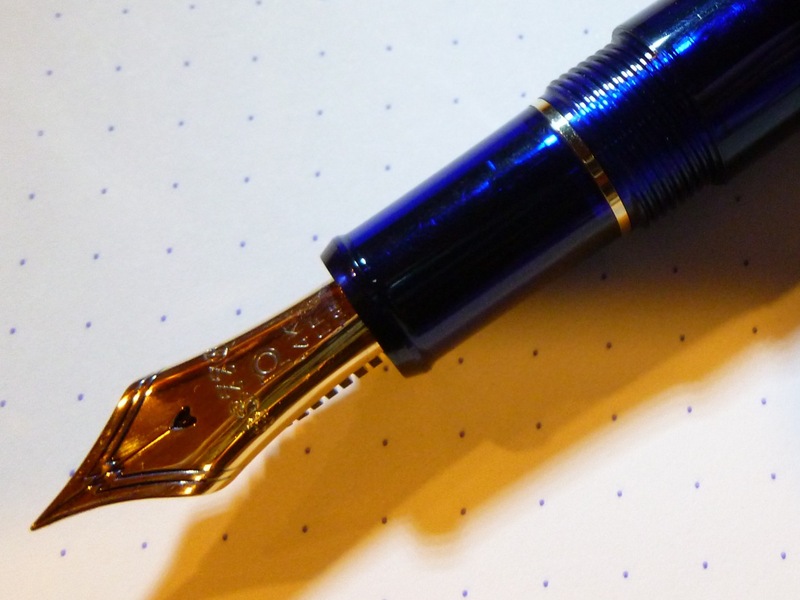 The cap contains a special seal that keeps the nib from drying up even if the pen is unused for as long as a year. I’ll probably never test that statement because I’ve used this pen almost daily since unboxing it, but it’s good to know that it won’t suffer from a period of non-use. There is some feedback from the nib, but I would not call it scratchy…just oh so fine. That gives you an idea of the sweet, sweet line laid down by this pen. A little bit of trivia: #3776 refers to the height of Mt. Fuji in meters. 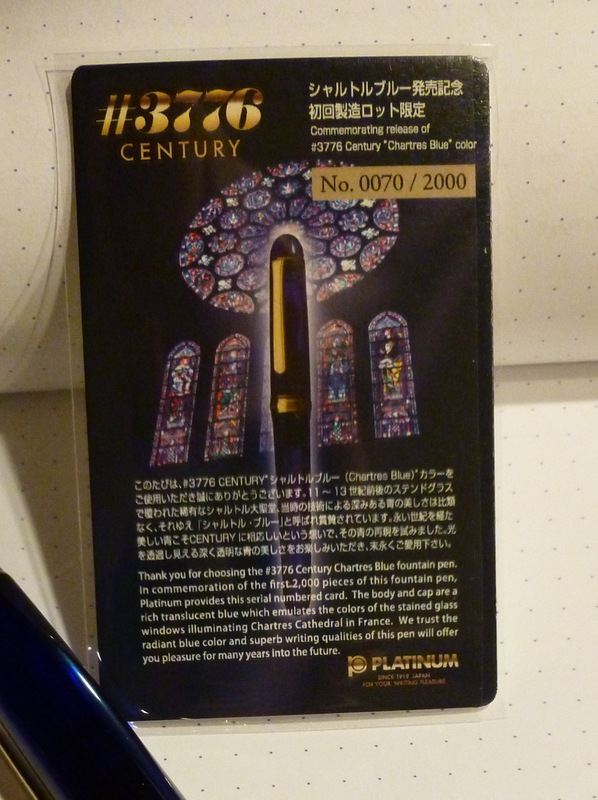 The rich, translucent blue of the pen looks to emulate the stained glass windows in the Chartres Cathedral in France (or the windows at Westminster Presbyterian!). 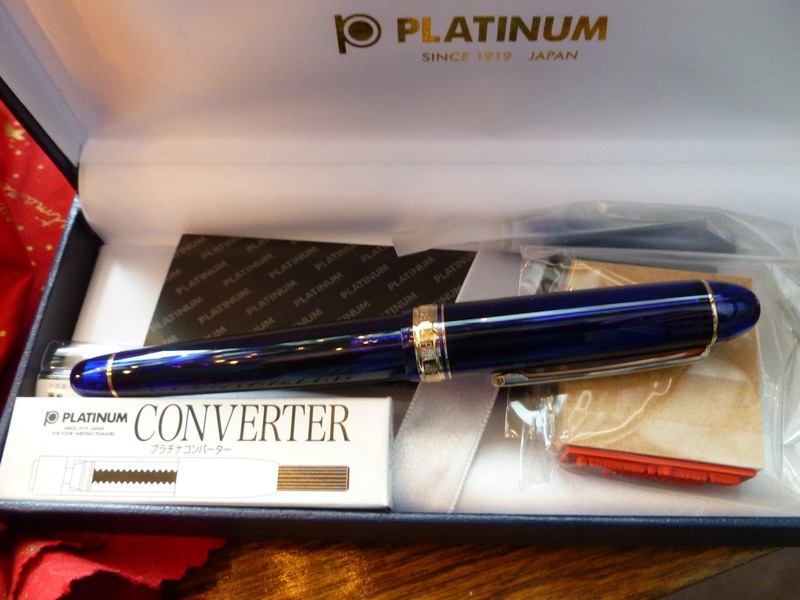 The Platinum #3776 is a classic pen, with simply elegant styling and branding. I’m smitten. And Happy New Year to you! Wishing you a happy, relaxing, and healthy 2013!